For whatever reason, an alarming amount of UK citizens do not do enough to save up for their retirement. This may be as a result of their company not offering a pension or just simply not applying for the pension plan that their company offers. To help change this, the government in the UK has created an initiative for pension auto enrolment. Payroll services like this are meant to offer a good solution for employees so they will have more money when they retire. Retirement can be an incredible struggle if you do not have enough saved up to enjoy this next chapter of your life. Here are some facts about this program. The first thing that you may want to know is what this program actually is. 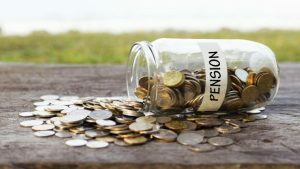 What this means is that most of the employers in the UK are going to be required to put into effect a pension scheme within the workplace. After they put this pension scheme into effect, they are expected to automatically enroll their qualified workers into this plan. Additionally, the employers are expected to contribute to the pension plan. This is a plan that will begin its rollout with some of the largest companies in the UK. At the very latest, every eligible employee should be auto enrolled by February 2018. The implementation of this program is referred to as your staging date and this date will depend on the size of your business. Entitled workers also have the option to be a part of this program, but you will not have to pay a minimum contribution for them. An entitled worker is one that is aged between 16 and 74 and makes less than £5,824. Employees are able to opt out of this program but it is illegal to force your employees to opt out of these plans. An employee can opt out within a month of enrollment but you will need to pay back any of the contributions that you have taken from their paycheck. After this time period, an employee can’t opt out but they are able to choose to stop paying their contribution. If this happens, all the money that is in the pension stays invested in the scheme. Please consider Payroll Service (UK) Ltd for all your pension auto enrolment needs.